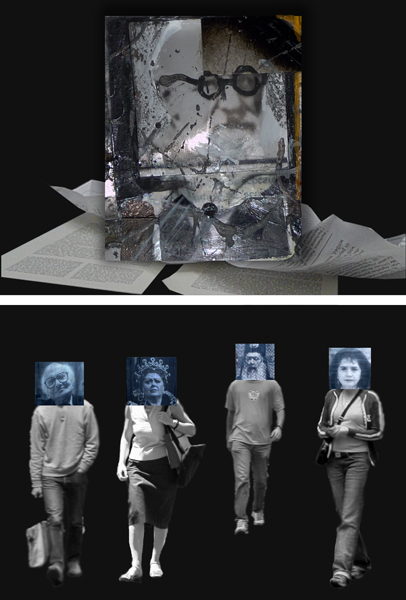 * A wee unbound book by Sarah Goodman, “Seven Deadly Verses” will also be on display. While it did not fit the binding criteria, it did earn a tiny space in the exhibition. 2) Crop a subset of the image and send that file digitally to a painting factory in China. 3) Wait (weeks) for an anonymous artist in China to complete an oil painting of the cropped section and send it back to Chervinsky in the mail. 4) Reinsert the painting into the original setup and rephotograph. As in his previous series, An Experiment in Perspective, which was exhibited at the Davis Orton Gallery in 2010, Chervinsky is interested in the tensions expressed in the comparison between reality vs. representation while adding, in this series, an unusual collaboration process with an anonymous artist half way around the world and subtle changes over time that we might otherwise take for granted. bio John Chervinsky is a self-taught photographer and an engineer working in the field of applied physics. His photographs are in numerous public and private collections including the Museum of Fine Arts, Houston; Museum of Art, Portland OR; and Fidelity Investments Collection. 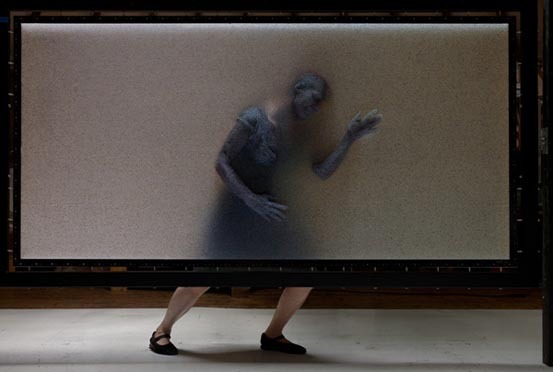 Chervinsky spent eighteen years running a particle accelerator at Harvard University and has collaborated with museums, using accelerator technology in the analysis of art. He currently works for Harvard’s Rowland Institute for Science, originally founded by Polaroid’s Edwin H. Land. 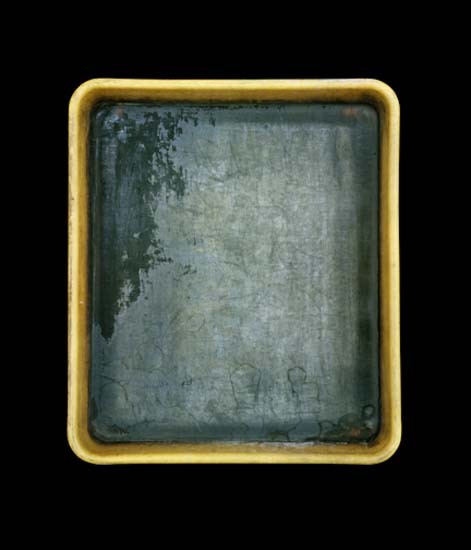 John Cyr is photographing available developer trays so that the photography community will remember specific, tangible printing tools that have been a seminal part of the photographic experience for the past hundred years. 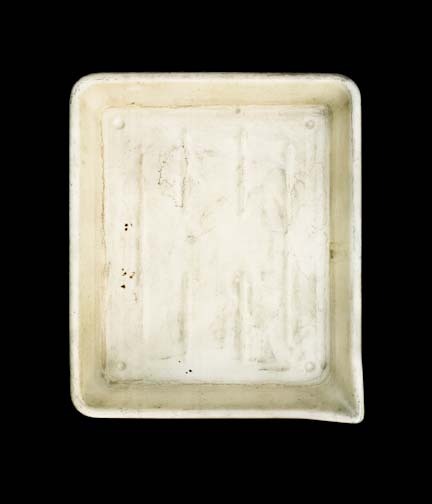 By titling each tray with its owner’s name, Cyr references the historical significance of these objects in a minimal manner that evokes thoughts about the images that have passed through each artist’s tray. From the mid nineteenth century until today, silver gelatin printing has been one of the most utilized photographic processes. From classic reportage to fine art photography, the majority of it was performed in a black and white darkroom until the mid-1970’s. As recently as 2000, black and white darkroom classes still served as the location for introduction to photography courses. The digital advances in photography over the past ten years have been remarkable. Cyr’s project evokes the experiences of countless hobbyists, students and photographic artists for whom the developer pan symbolizes their passion. bio John Cyr is a Brooklyn based photographer, printer and educator. His work has been featured in the New York Times, The Telegraph, Aperture, Time, Photo District News, NPR and Wired. It has also been published in Popular Photography, PHOTO+ Magazine, Rizzoli’s New York: A Photographer’s City, and Humble Arts Foundation’s Collector’s Guide to New Art Photography Vol. 2. He has been the recipient of the New York Photo Award in the Fine Art Series category, nominated for the Project Prize in the Daylight/Center for Documentary Studies Photo Awards and a winner in the Personal Series category of PDN’s Photo Annual. In 2010, Cyr received his MFA from the School of Visual Arts in New York City. He is an adjunct faculty member at the International Center of Photography and the Hartford Art School. In addition to working on his own photographic projects and teaching, he owns and operates Silver 68, a traditional silver gelatin printing studio in Dumbo, Brooklyn’s Photo District. The ubiquity of photographs in public locations has rendered them virtually invisible – unless, of course, one takes a second look. 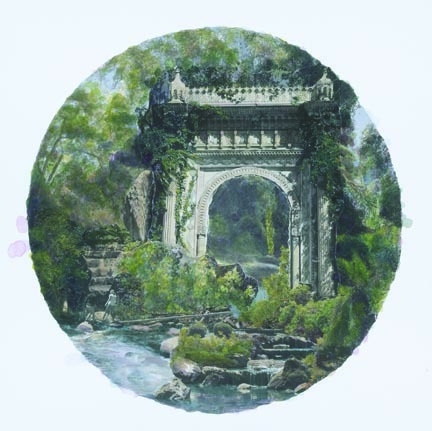 That is what Elaine Mayes set out to do in the summer of 2009 when she began to focus on photographs and photographic reproductions of art in public places. It begins, each time, with “seeing” the image in a public place, usually behind glass. She then photograph this image in its context including not only the surrounding scene but also environmental particulars of the world beyond reflected in the glass. While thematically, the project is about how photographs and advertising imagery permeate our lives; it is also about how the flattening of space in a photograph can produce a collage filled with unexpected content. Mayes has made these pictures in Italy, France, New York, Seattle, Washington, DC and other locations. One unexpected outcome has been discovering and photographing the same image (from national and international campaigns) on different continents. bio Elaine Mayes’ photographic works are in the permanent collections of, among others, the Metropolitan Museum of Art, The Museum of Modern Art, The Museum of Fine Art, Boston; the San Francisco Museum of Modern Art; and Telfair Museum of Art, Savannah GA. Her photographs were recently shown at MOMA New York, MOMA San Francisco, The Brooklyn Museum and at the Art Gallery, George Washington University, and Steve Kasher Gallery (NYC). Widely known for her images of the rock and roll revolution and Haight Ashbury portraits(1968), Mayes has created a number of documentary and conceptual projects including Wall Street (ongoing), Autolandscapes and The Atlantis Project. Chair of the Photography Department of New York University’s Tisch School of the Arts until her retirement in 2001 and now Professor Emeritus, Mayes also taught photography and film at The University of Minnesota, Hampshire College (founding faculty), The Cooper Union, The International Center of Photography, Pratt Institute and Bard College. The images in “Soldiers” represents a small portion of the hundreds photographs of U.S. soldiers that, during the Vietnam War, were mailed to a South Vietnamese radio and television personality known professionally as “Mai Lan.” For hours every day, Mai Lan broadcast to American troops stationed there. She also spent much time visiting wounded soldiers in hospitals all around the country. English was her second language, but she was able to communicate very directly with her audience. She encouraged the soldiers to send her photographs, and they did. Often they were inscribed with simple, touching and sincere declarations of appreciation for giving comfort to the subjects of the pictures. She was a small place of soft kindness in a very harsh, frightening and unfamiliar place. The images ranged from the 2” X 3” size that accompanied a high school portrait package, to 3” X 3” color Polaroid’s, and 3” X 5” black and white snapshots of life around the base. The soldiers seemed to consider carefully how they wanted to be seen. Often, they would pose with a weapon, or show themselves at work surrounded by the visual clues of a soldiers’ life. Mai Lan had to leave South Vietnam in a hurry as the North overran the South. She had but moments to decide what objects to take with her. She chose a small box of photographs to bring along, necessity forcing her to leave hundreds more behind. Since the images were not stored well, and probably many were not processed well at the time of their creation, the majority suffered serious deterioration. Years after she fled Vietnam, Mai Lan, now Denise, was a colleague of David Torcoletti’s at a private school. She showed himthe images, knowing as a photographer he might appreciate them. Denise looked past the crumbling surfaces to see the faces of the soldiers whose morale she was charged with lifting. She knew many of them by name, and even remembered what their parents did for a living. Torcoletti photographed all of the images for Denise, front and back, leaving the potential restoration of the images to others. With her permission, he photographed twenty-four that he found most powerful in their present state, adjusting them digitally the way he would have in the darkroom: exposure, contrast, burning, dodging, color balance and saturation. All of these decisions were emotional and aesthetic. 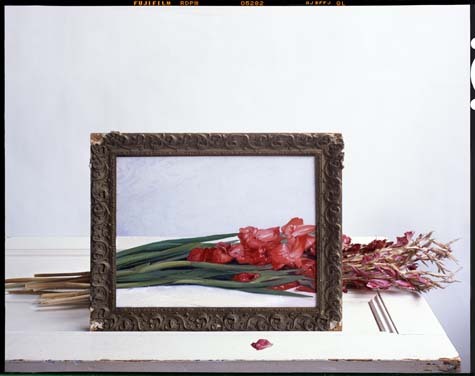 For Torcoletti, the power of these objects was in the way they were disintegrating, barely holding on to the original image while becoming something else entirely. They were now less specific to the individuals depicted and more about war and hope and a peculiar, distant “love” that sustained these men in impossible circumstances. bio David Torcoletti has exhibited his photographs at the International Center of Photography, New York City; The Springfield Museum of Fine Arts; Synchronicity Fine Arts in New York; Columbia College, Chicago; Photographic Resource Center, Boston and other venues. He attended Rhode Island School of Photography, and the Maine Photographic Workshops and received a BFA in Photography from Ohio University, studying with Arnold Gassan, Joseph Marshall and Carson Graves, and an MFA in photography from Bard College studying with Ben Lifson. He received the Edna Way Award, as well as a Dean’s Achievement Scholarship at Ohio University, and the Milton Avery Award at Bard College. Torcoletti has taught photography courses at Amherst College, Greenfield Community College, Northfield Mt. Hermon School and Milton Academy. For over 30 years, multimedia artist Judith Henry has created evocative tableaus that explore the friction between our interior lives and our public selves. For her exhibition at Davis Orton Gallery, Henry will present work from two recent series, Rebirth and Masquerade. Rebirth grew out of Henry’s fascination with public obituaries, which she has collected for years. Here the artist partially obscures grids of obituary portraits with fragments of celebrity faces culled from fashion magazines and other glossy journals. 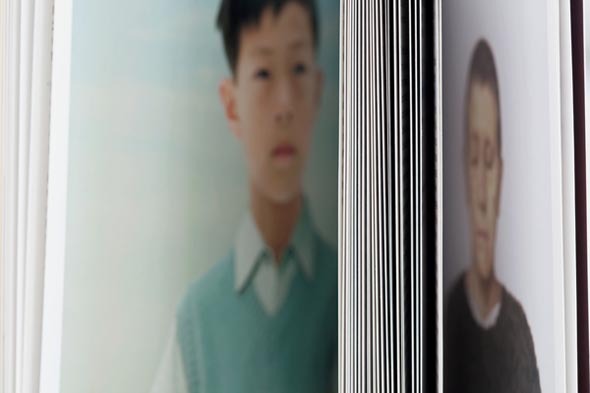 These hybrid portraits of the great, the near great and the unknown flicker in and out of recognition, underscoring the slippery nature of identity and our uneasy public relationship with death. In Masquerade, Henry creates cinematic mise-en-scenes from appropriated word and image. 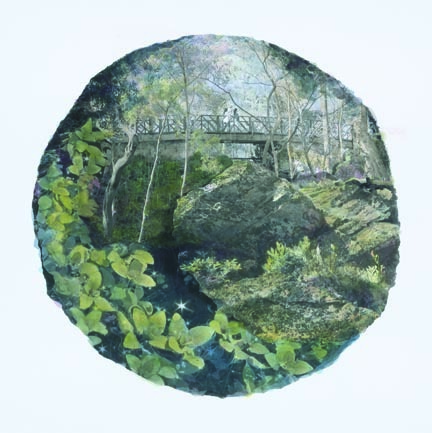 She digitally collages her compositions from a variety of sources including images and objects from her previous works. 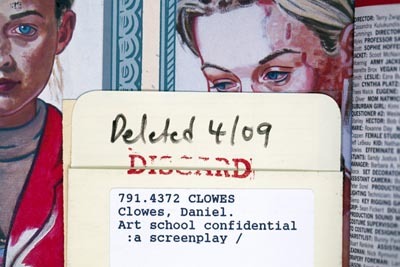 Among her other sources are text torn from assorted media, repurposed overheards, Freud’s and other historic texts and imagery from mass media, family snapshots and self portraits. In both series, Henry’s textual and visual misalignments confound the unified storylines of public life. Working with the coherent narratives of historical record and mass media, the artist reroutes and speaks through her sources, drawing absurdity, poignancy and surprise from the fading records of human existence. Bio Judith Henry has exhibited her work at Churner & Churner Gallery, New York; Ricco / Maresca Gallery, New York; the Walker Art Center, Minneapolis; White Columns, New York; A.I.R. Gallery, New York; The Dayton Art Institute and Hundred Acres Gallery, NY. 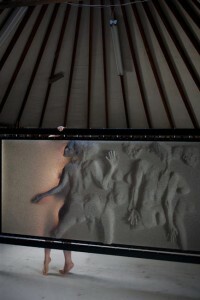 Her work has been shown abroad in Barcelona, London, Switzerland and Istanbul. Henry’s exhibition at Churner & Churner was reviewed by Holland Carter in the NY Times, the Village Voice, ARTslant and the Huffington Post. This exhibit established her role as partner in the innovative, groundbreaking conceptual design studio, Wooster Enterprises (1976-78). 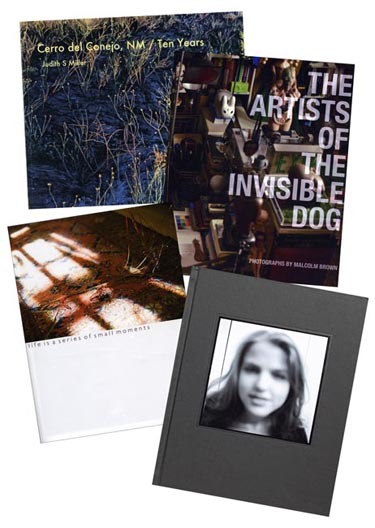 Henry has created six artist’s books combining photography and text: The “Overheard” artist’s book series (Rizzoli Publishers,2000-2001); Overheard in America (Simon & Shuster, 2006); Anonymous True Stories, (Commonplace Books,1996.) Several of her short video pieces have been shown at San Francisco Short Film Festival; Technocracy, Carnegie Mellon University, Miller Gallery; Philadelphia Independent Film Festival; Ace FilmFestival, New York and at the Festival de Cine International de Barcelona. Judith Henry’s work has been written about in the art magazine Kunstbeeld, Amsterdam, Art News, On Paper and Print Magazine. She has been interviewed on ABC and CNN. Mary Ellen Bartley, Standing Open In Standing Open Mary Ellen Bartley presents photography books as they stand open before her camera. 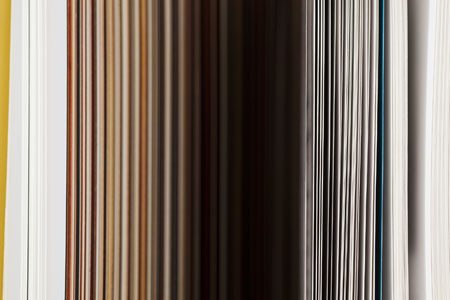 Using their chance settling and a full-frame close-up view we see the books in a new way as they fall into and out of abstraction. As one examines Bartley’s photographs, there is the beauty of the interior space and structure of the book, and there are the unique formal discoveries found from looking at them close-up. 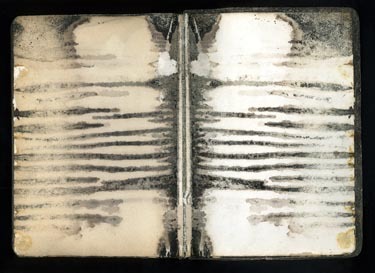 The stripes the pages create, the shadowy voids between pages that read like burns or stains, and the reflections the photos can make on the pages facing them are among the repeating formal motifs she has found. What drives the work for Bartley is the emotional connection she has to the books. In Standing Open she conveys the sensuality and intimacy of reading and looking through books as well as the fleeting inspiration and little jolts of connection that readers find in books they love. Bio Mary Ellen Bartley’s photographs have appeared in exhibitions on both coasts. A combination of her book projects, Books, was exhibited at Corden Potts Gallery in San Francisco and she was chosen by the painter Ross Bleckner to exhibit her work alongside his at the Parrish Art Museum in Southampton, New York. 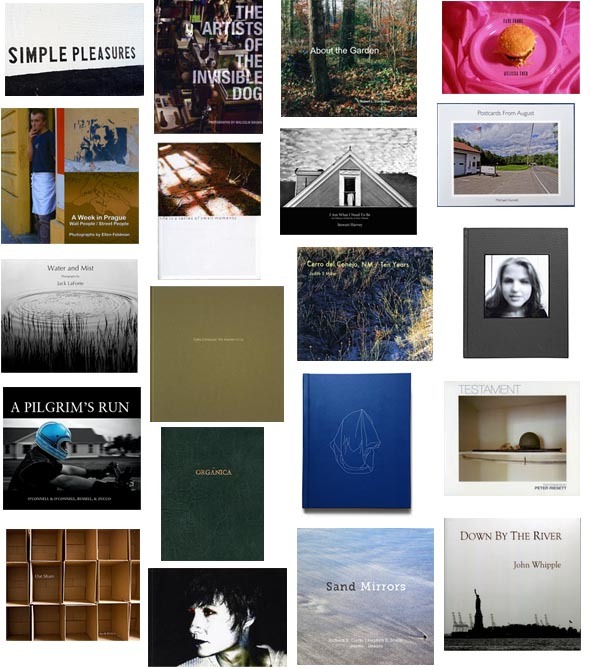 Bartley is included in the recently published 20 Now:Contemporary Photographers, (Cite Group, Style publisher 2012) along artists Adam Fuss, Philip-Lorca deCorcia and David Hilliard. Upcoming shows include Out of Print at the Bakersfield Art Museum and a solo show at Guild Hall Museum in East Hampton, NY. She was a Photolucida Critical Mass 2011 top 50 winner, and she earned a Juror Commendation from Houston Center for Photography’s Annual Juried show, where she also exhibited. A New York City native, Mary Ellen Bartley now resides in Wainscott, on the east end of Long Island. She earned her BFA at Purchase College, where she began her fine art studies in painting and drawing. The books in this series were removed from a variety of county and city public library systems, schools, churches and universities. For Laurel Noel, photographing withdrawn library books is one way to depict time’s relentless push forward and consider the institutions that change or fade as technology evolves. Some of these discarded books were rejected as no longer relevant to current culture, others were battered, and some contain inaccurate information. Libraries are often “weeded” to make room for new materials. Though technology is often wonderful, it can also fundamentally change an important and everyday activity like reading. Books bear the marks of time passing in a way that electronic devices cannot. Bio Laura Noel’s work has been featured in exhibitions at the Pingyao International Photography Festival in China, the Contemporary American Photography exhibition at the Internationale Fototage Festival in Mannheim, Germany, Gallery 24 in Berlin, the Hunter Museum of American Art, The Griffin Museum of Photography, The Museum of Contemporary Art Georgia, Jackson Fine Art, Lumiere, Gallery 1401 in Philadelphia, The Museum of Contemporary Art Georgia, and The Gregg Museum of Art and Design. Her photographs have appeared in on-line and in print in Photography Now, Photography Quarterly, PHOTONEWS (Germany), Lens Culture, Planet, Art News Daily, The Humble Arts Foundation, F-Stop Magazine, One One Thousand, SouthXSoutheast, La Lettre de la Photographie, Consciencious, aCurator, Fraction Magazine and many others. Recently her work inaugurated Fall Line Press’ Free Fall series of quarterly magazines featuring the work of one photographer. Noel was born in Atlanta, Georgia, where she continues to live and work. She received a BA in Public Policy Studies from Duke University and a MFA in Photography with Distinction from the University of Georgia. Noel works as a professor at Emory University and as a freelance photographer. Bio Terri Garland’s photographs are included in the collections of The Center for Creative Photography in Tucson, Arizona, The Art Institute of Chicago, The di Rosa Preserve in Napa, California, The Cleveland Museum of Art, Saint Elizabeth College in Morristown, New Jersey, the Bibliotech Nationale, Paris, France and Special Collections at the University of California at Santa Cruz. Among her awards are a WESTAF/NEA Fellowship, Silicon Valley Arts Council Grant and a Rydell Visual Arts Fellowship. For nearly thirty years, Karen Halverson has been making photographs that comment on how we encounter, occupy, and alter the land. Much of her work concerns the landscape of the American West. 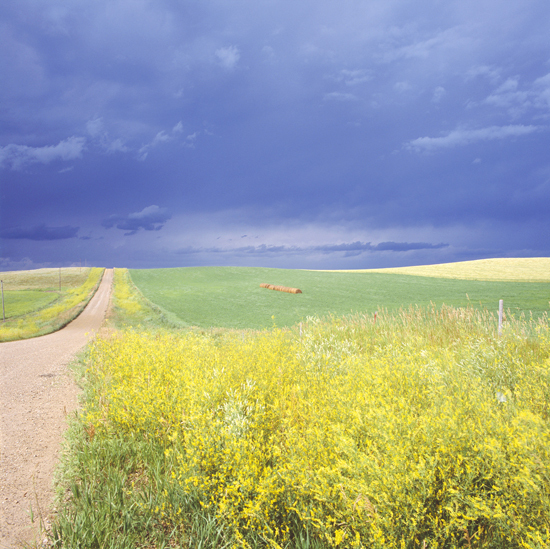 In the summer of 2011, without itinerary, she drove to the Dakotas. Having seen the Dakota landscape from the air, she looked forward to the experience of the Plains geometry on the ground. “I knew that, by and large, Dakota vistas would be broad and flat, making for a straight horizon line.” Heading west from Grand Forks, she quickly observed the roads running in straight lines as far as the eye could see, north – south or east – west and property lines and rows of trees called “shelterbelts” doing the same. The Homestead Act, signed into law by President Lincoln in 1862, determined this landscape. Making use of geographical surveys, the law granted sections of land to settlers pledged to “improve” them. Euro-Americans were displacing Native Americans. 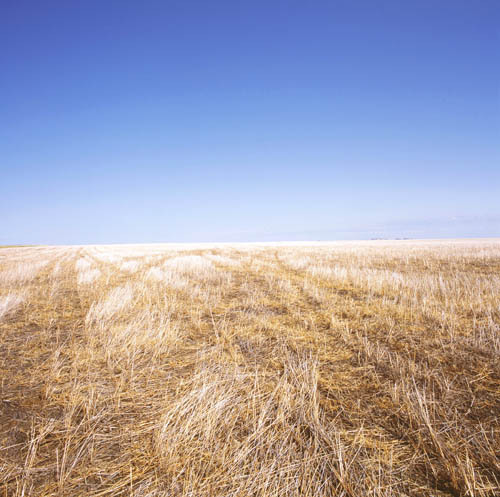 Cultivated crops would replace native prairie grasses. The landscape presented a pattern, based on flat terrain and especially on its land use. “I see the “Dakota Survey” images as landscape sections, emphasizing the lines and forms that both nature and human history have created.” Halverson chose the square photographic format for this series as an expression of the geometry she saw before her. Bio: Karen Halverson’s work has been exhibited and collected by major American museums including the Smithsonian Institution, the Corcoran Gallery, the San Francisco Museum of Modern Art, the Los Angeles County Museum of Art, the Getty, and the Saint Louis Museum of Art. Recent solo exhibits include the Autry Center for the American West, Los Angeles CA; Huntington Library and Art Galleries, San Marino CA; and Nicole Fiacco Gallery, Hudson NY. Her exhibit at The Autry in Griffith Park, “The Marks we Make: Western Panoramas by Karen Halverson” continues through September 9, 2012. 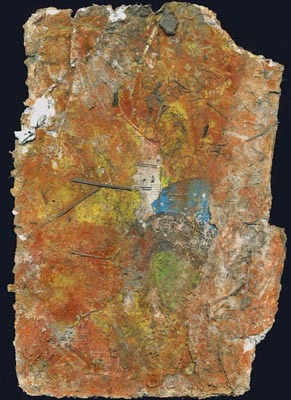 In 2011, Halverson who resides in Columbia County, was awarded the Autry Center’s first Theo Westenberger Prize for Artistic Excellence, “transforming the way we see the American West.” The Beinecke Library at Yale University is in the process of acquiring her complete oeuvre for its permanent collection. Karen taught photography for several years at the International Center of Photography in New York and at the University of Southern California. Stephen Strom has spent most of his professional life as an astronomer, searching out patterns encoded in the light from distant stars. Over a research career spanning four decades, he has spent countless hours perched on remote mountaintops, looking upward mostly, but also contemplating the desert below during moments of quiet and solitude before and after nights spent at the telescope. During those times, he became seduced by the changing patterns of desert lands sculpted by the glancing light of the rising and setting sun as it reveals forms molded both by millennial forces and yesterday‘s cloudburst into undulations of shapes and colors. Bio Stephen Strom spent his professional career as an astronomer. He has held appointments in at Harvard the Smithsonian Astrophysical Observatory, SUNY Stony Brook; and the Kitt Peak National Observatory in Tucson, AZ. At the University of Massachusetts in Amherst, MA where he worked for 15 years, he served as Chairman of the Five College Astronomy Department. In 1998 Strom returned to Tucson as a member of the scientific staff at the National Optical Astronomy Observatory served as an Associate Director of the Observatory. He retired from NOAO in May, 2007. 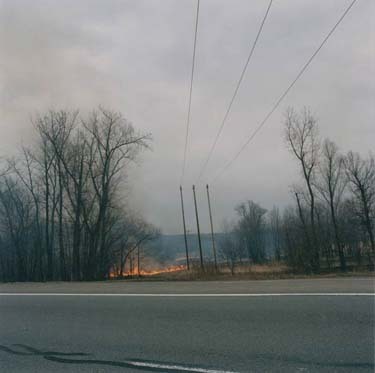 Strom’s photography, largely interpretations of landscapes, has been exhibited widely throughout the United States and is held in several permanent collections including the Center for Creative Photography in Tucson, the University of Oklahoma Art Museum, the Mead Museum in Amherst, MA, and the Boston Museum of Fine Arts. 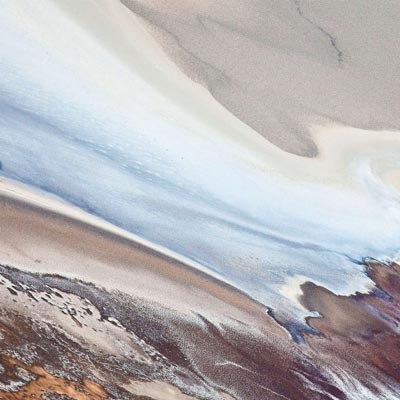 A monograph comprising 43 images, Earth Forms, was published in 2009 by Dewi Lewis Publishing. His photography complements poems and essays in three books published by the University of Arizona Press: Secrets from the Center of the World, a collaboration with Muscogee poet Joy Harjo; Sonoita Plain: Views of a Southwestern Grassland, a collaboration with ecologists Jane and Carl Bock; Tseyi (Deep in the Rock): Reflections on Canyon de Chelly co-authored with Navajo poet Laura Tohe; as well in : Otero Mesa: America’s Wildest Grassland, with Gregory McNamee and Stephen Capra, University of New Mexico Press (2008). Robin Dana explores the relationships we have with our surroundings, a land which, though strip-mined and strip-malled, still dictates our sense of national identity. 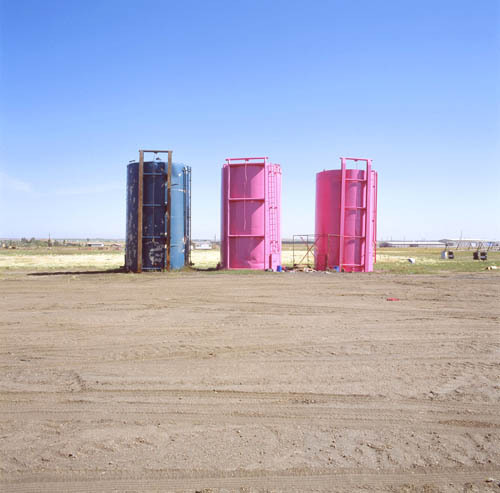 She focuses on the abstract beauty, lush colors, and surreal forms one might expect from images of monumental landscapes but actually represent the space between where the American brand of wild grandeur meets the reality of the ugly effects of our relentless pursuit of resources. 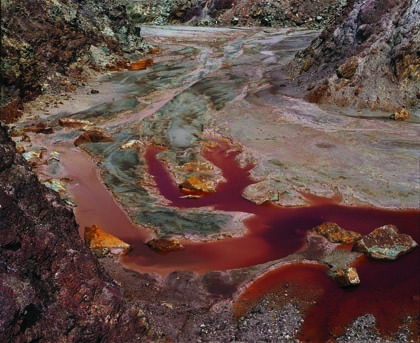 While the environments in which we live are constantly being transformed through mining, deforestation, building, and polluting and our idea of landscape as romantic, beautiful and benign is a cultural construction, Dana, with her large format camera, has found in our troubled environment,a weird beauty reminiscent of the now-alien landscapes of some of our great national parks. Here, in her images, are fantastical colors, isolated landforms, the persistence of nature in extreme conditions, and serenity. 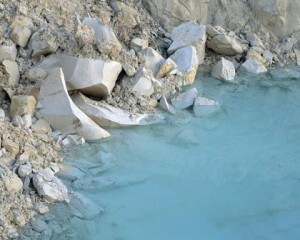 Bio: Robin Dana, a native of Georgia, has exhibited her landscapes and photographs from from her ongoing series about the kaolin (white clay) mining industry in her hometown at galleries and museums throughout the east including the Altama Museum of Art, Vidalia, GA; Arlington Arts Center, Arlington VA; Chronogram Gallery, Kingston NY; Composition Gallery, Atlanta, GA; Agnes Scott College, Atlanta GA and Benton Museum of Art, Storrs CT. Her recent work from residencies in Washington DC, New York and travel abroad focuses on the scarification of our contemporary landscape includes photographs of the Hudson, Potomac, Savannah, Suwannee, Arno and Tiber River watersheds. Dana has taught photography in the US and abroad, curated exhibitions, written on contemporary artists, and worked in book and magazine publishing. She lives and works in St Petersburg, Florida. In “True Adventures in Better Homes” these two worlds – men’s adventure magazines or “sweats” and Better Homes and Gardens – collide. Set against the backdrop of the McCarthy era, advertising, sexual repression, WWII and the Korean War, Boughton’s photocollages are filled with the tension of opposites: inner and outer spaces, wildness and domesticity, the sweat and the cool. Rich in detail and suggestion, both funny and shocking, they become perfect metaphors for the contradictions of those times. 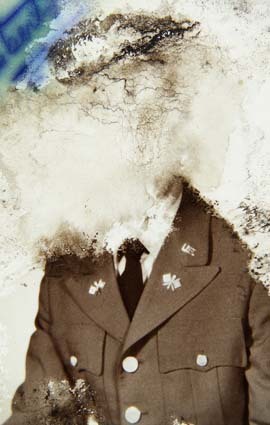 Bio Nadine Boughton is a recipient of Photolucida’s “Top 50” Critical Mass 2011 competition. Her photocollages are featured in the Critical Mass exhibitions at Photo Center Northwest, Seattle, WA, Newspace Center for Photography, Portland, OR and RayKo Photo Center, San Francisco, CA. Her work has been exhibited at the Davis Orton Gallery, Hudson, NY, and in the Boston area at Carroll & Sons Gallery/Boston Drawing Project, Panopticon Gallery, Bromfield Gallery, Photographic Resource Center, Griffin Museum of Photography, Danforth Museum of Art. 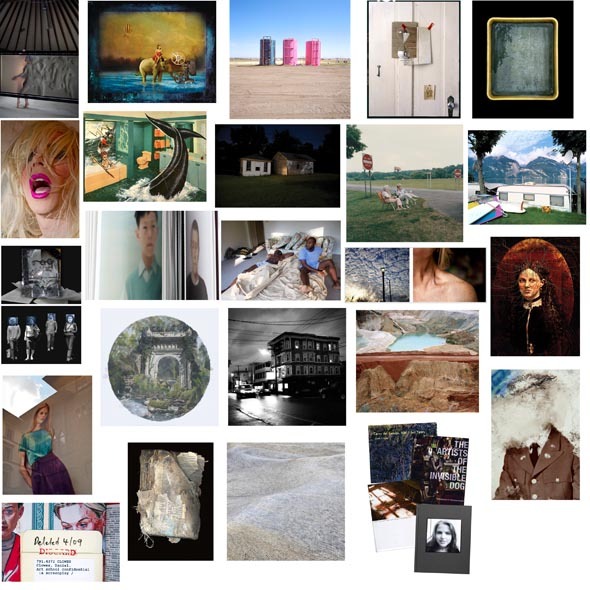 Her work has also been featured on-line in Lenscratch, Plates to Pixels, Flavorwire, Aparte 20 minutos, and Urbanautica. Boughton is a 2012 IRIS lecturer at The Annenberg Space for Photography, Los Angeles, CA, where she presented Adventures in Digital Collage. 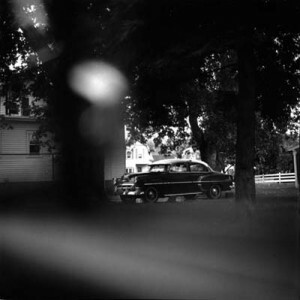 Growing up in the shadow of George Eastman’s Kodak Tower in Rochester NY, she studied photography with Garry Winogrand, and at Visual Studies Workshop, Rochester, NY, and Lesley University Seminars, Cambridge, MA. She currently lives in Gloucester, MA where she teaches photography, collage and creative writing. Bio Fran Forman’s work is in the permanent collections of the Museum of Fine Arts, Houston and the Griffin Museum of Photography. Recent solo and featured exhibitions include Open Shutter Fine Art Photography, Dorango, CO; Cassandra Sohn Gallery, Stockbridge MA; Panopticon Gallery, Boston MA; Thompson Gallery, Weston MA; Pine Manor College, Boston MA and New Door Creative Gallery, Baltimore, MD. Forman has won numerous awards and prizes for her photocollages. Most recently – in 2011, she was invited to exhibit and attend the Lishui (China) International Photo Festival and also won the second prize from the World Photography Gala Award (out of over 8000 entries) in the People and Portrait category. 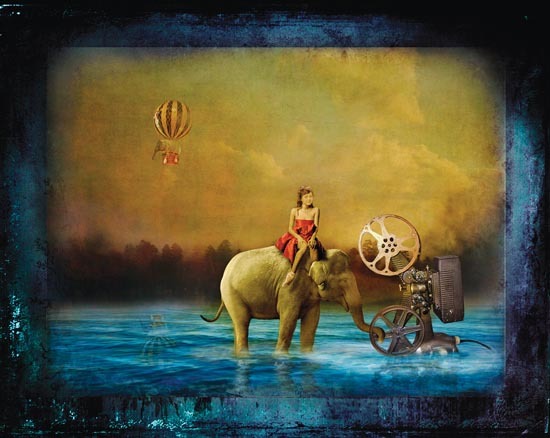 She was 1st place winner in the Fine Arts Collage sub-category for the Lucie Foundation’s International Photo Awards (IPA) in 2010 and was one of the Top 40 at the LA Center for Digital Art in 2010 and 2006. Forman is a Resident Scholar at the Women’s Studies Research Center at Brandeis University and an adjunct professor in the Department of Fine Arts at Brandeis. She is a recipient of grants from the Sassower, Tyre, Tavris, and Puffin Foundations and was resident artist in 2010 at the Vermont Studio Center. 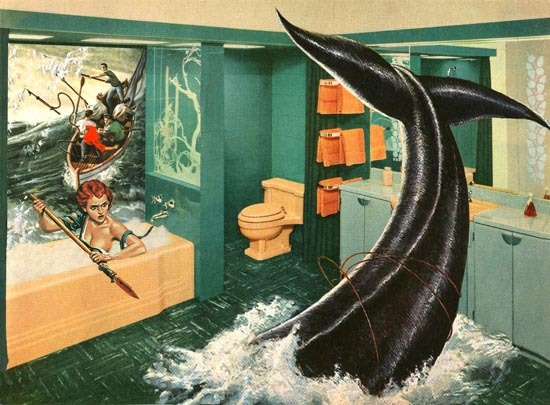 The imagery of Suzanne Gonsalez-Smith’s photomontages contains the metaphor of myths and dreams. Using the contemporary framework of her personal history she explores personal loss, religious and cultural identities and the inescapable essence of mortality. 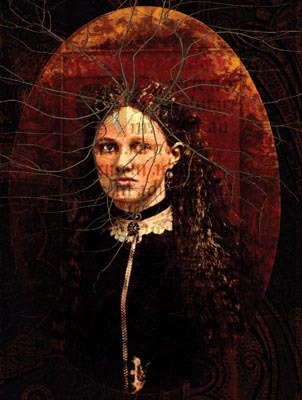 In her layered self-portraits and appropriated photographs beauty and decay; life and death; traditional and cultural symbolism; and personal mythology and human experience co-exist. 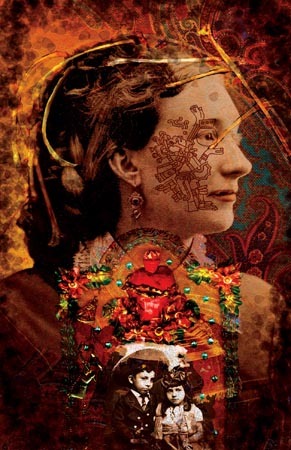 Cultural references in her images touch on the artist’s roots from childhood training in Catholicism to her Mesoamerican and Hispanic heritage. Bio Susanne Gonsalez-Smith is an Assistant Professor of Art and Design at the University of North Dakota where she has taught photography since 2008. She has exhibited works nationally and internationally including The Main Street Gallery, Fredericksburg Center for the Creative Arts, The Center for Fine Art Photography, The Chautauqua Center for the Arts, The Hampton Gallery, Circulo de Bellas Artes (The Circle of Fine Arts) Madrid, Spain, Atelier Gallery 030202, Bucharest, Romania and most recently at the Borges Cultural Center in Buenos, Aires, Argentina. Gonsalez-Smith is the recipient of numerous grants and awards. She received her BFA at the University of New Mexico and her MFA from the University of Kentucky. 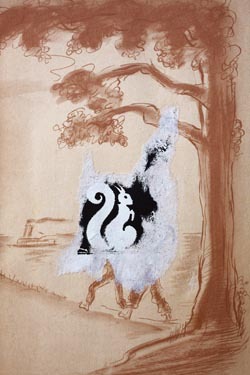 Julie Brook Alexander, “Realities Reconsidered.” Julie Brook Alexander creates visual poems. Using her black and white photographs, most often with the natural world as a base, Julie Brook Alexander populates her compositions with structures, people and objects in ways that encourage meditation as well as exploration and discovery. 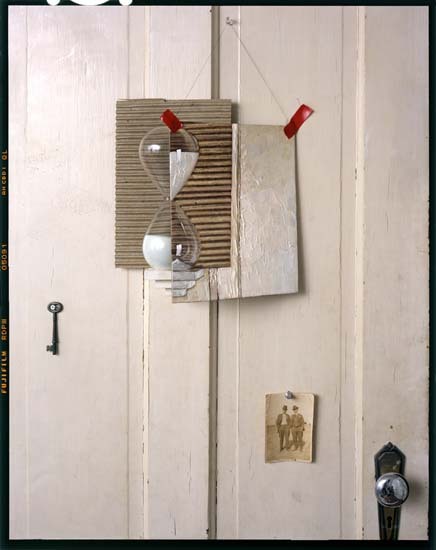 In addition to building images from her photographs, at times she will place actual objects such as leaves or shells onto her settings, resulting in a hybrid of landscape, collage, and still life. Photographing her built arrangements step by step, she works until she discovers the complete view. She then prints and hand paints the final black and white compostion. Finally, Alexander crafts a title to suggest a multiple approaches for interpreting her work. Bio Julie Brook Alexander’s work is in the collection of the Museum of Fine Arts, Houston, the Children’s Museum of Houston, the Musee de Arte Moderne in Rio de Janeirio Brazil, and numerous private collections. 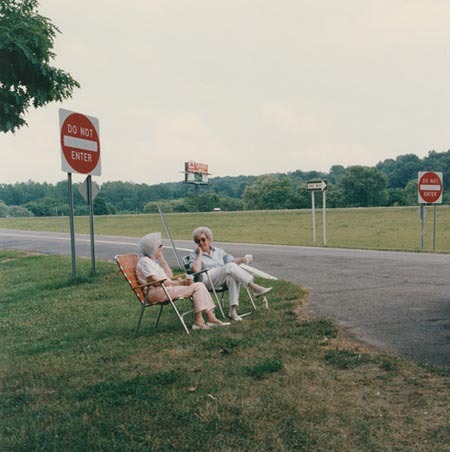 She has exhibited throughout the United States including at the Museum of Fine Arts, Houston, Houston Center for Photography, Hooks-Epstein Galleries, Houston and (upcoming) at the Center for Fine Art Photography, Fort Collins, Colorado. 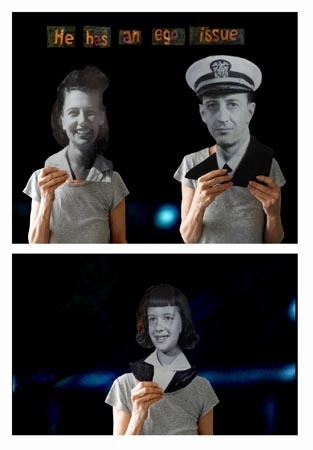 Examples of her collages were featured in a presentation at the Annenberg Space for Photography in Los Angeles representing new developments in the digital darkroom. 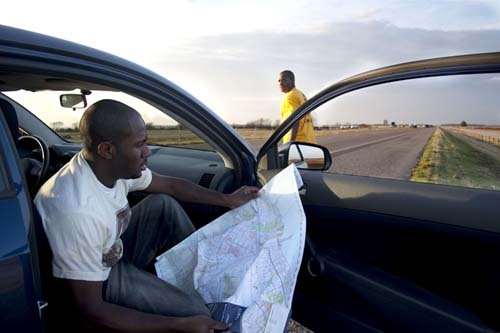 Alexander is an adjunct instructor for the Fotofest Literacy Through Photography program in Houston, Texas. Bob Wagner – Kerouac’s Lowell, Mass. Bio Mark Haven has combined a career of editorial photography, exhibitions and teaching for the past forty years. In the U.S. he has done assignment work for publications such as The New York Times Magazine, Newsweek, New York Magazine and Harper’s. His work has appeared in DoubleTake and Nest Magazine. In Europe he has published work in Zoom International (Italy), Zeit Magazin (Germany); Das Magazin (Switzerland) and Moda (Italy). A MacDowell Colony Fellow, his photographs have been exhibited recently in the 40th Reunion show at SoHo Photo Gallery and in shows at Gallery@49, Palazzo dell’ARengario, Milan, Italy, and the Noyes Museum of Art. His work is in numerous private and public collections including the New York Public Library and the Brooklyn Museum of Art. Haven, a retired Professor from the Rochester Institute of Technology, has taught photography workshops in New York City at the International Center of Photography (ICP), Italy, Dubrovnik, Croatia and most recently, Havana, Cuba. He lives and works in New York City. 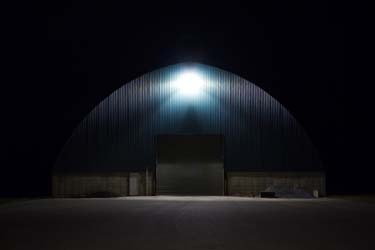 Remi Thornton, “From the Road” Remi Thornton’s eerily beautiful, cinematic night photographs in “From the Road” convey the artist’s sense of discovery as well as his tension. 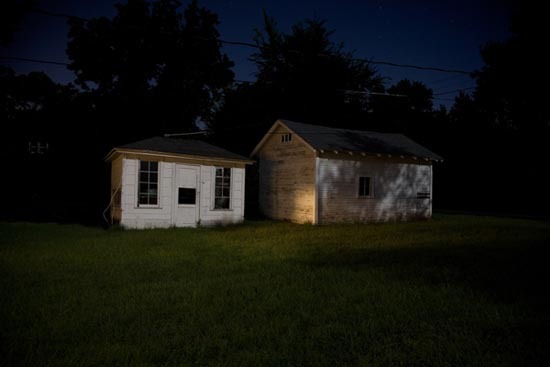 Here, small pockets of light throw his subjects of the commonplace – isolated dwellings, municipal service buildings and decayed structures into relief and his photographs become as much about negative space and the mystery of night as they are about the objects contained within. For Thornton, traveling to new and unfamiliar territory is crucial to his work. Taken to wandering empty parts of town and rural roads, his smartphone gives him confidence to just keep going. “So I let the road take me, follow my instincts and not really worry about where I end up.” He sees it as an occupational hazard that with his slow and erratic driving, sudden U-turns, parking in vacant lots or pointing his camera at private property he has attracted his share of suspicious glances from passing cars and police inquiries. 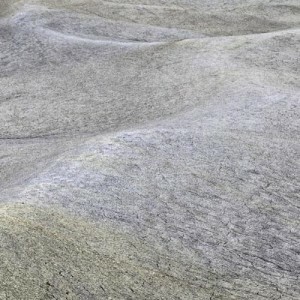 Bio Remi Thornton has exhibited his fine art photographs in solo and featured exhibitions at the Davis Orton Gallery, Hudson NY; BK Projects, Carroll and Sons Gallery/Boston Drawing Project, and Gallery Katz, Boston, MA. His work has been included in the RISD New England Biennial, New England Photographers Biennial at the Danforth Museum of Art, Framingham MA and “Small Works” at the Attleboro Museum, Attleboro, MA. He has also gained representation from stock agencies Getty Images, Glasshouse Images, and Jupiter Worldwide. A graduate of the Rhode Island School of Design, Thornton’s work is in a number of private and public collections including, most recently, Fidelity Investments. Bob Wagner, “Kerouac’s Lowell, Mass.” Kerouac’s Lowell, Mass. is an exploration of Jack Kerouac’s hometown that seeks out the places that influenced his life and writing in personal and metaphorical ways. 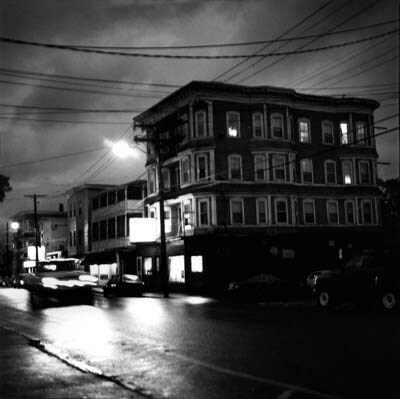 The photographs are reflections on places he lived and encountered while growing up in Lowell. In our travels, we set out to find new vision, experiencing new revelations. Inevitably, these roads lead back to where we began, to one place – home. For Kerouac, Lowell is the one place that he never was able to fully escape. It holds a spiritual sense of place that transcends his words and the visionaries that surrounded him. It is the place he eternally rests. 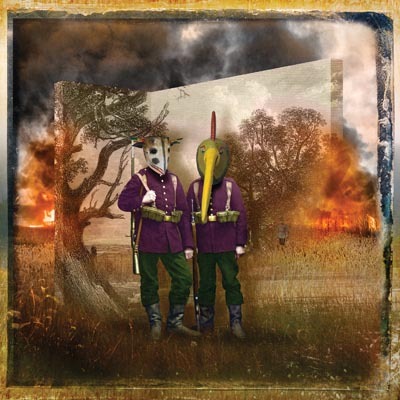 Bio Bob Wagner has worked as a photographer since 1981 based in New York City, Vienna, Austria and the Hudson Valley, where he currently resides. Shooting on assignment for magazines, his clients include Rolling Stone, Travel & Leisure, In Style, GQ, and Männer Vogue. As a Custom B&W Printer, he has printed exhibition photographs for Neil Selkirk/the Estate of Diane Arbus, the Estate of Inge Morath, and the Estate of Lucy Ashjian. His work has been exhibited in New York City at Sepia International and Robert Burge Gallery, in Los Angeles at Fahey/Klein Gallery and at the Tölzer Photobiennal in Bad Tölz, Germany. Currently, he works at the Samuel Dorsky Musuem of Art at SUNY New Paltz as preparator / exhibition designer. He received a BFA in Photography from Rochester Institute of Technology. 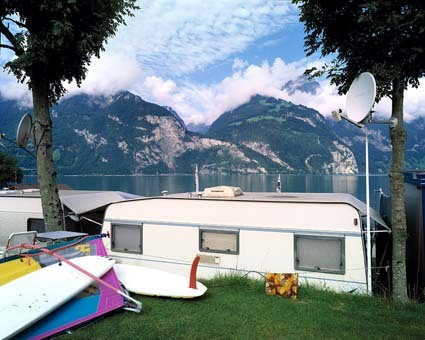 Knoll + Cella, “Natural Settings” Knoll + Cella have camped throughout Europe. They observe that Italians tend to turn their living rooms inside out for the summer, carting their furniture and televisions to a more natural setting for the sake of cool breezes and card games. 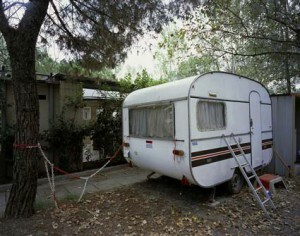 Northern campers in France tended to come to the same spot each year to a community they didn’t feel they had at home. In Germany they found couples who never camped the same place twice, for whom camping meant perfecting the art of making home away from home. According to the artists, there are many reasons people, themselves included, camp: freedom of movement, interaction with nature, nostalgia, escape, peace and quiet, homelessness, exhibitionism, voyeurism, cheap accommodations, a base, a place to play house, a place to hold social events, a way to test survival skills, a place to come back to. But their reasons for photographing these site stems mainly from a curiosity about their neighbors – seeing how other people make home even if that home is artificial, staged and/or idealizations. Recently transplanted to Hawaii, they imagine their project will evolve with the deserts, rain forests and quicker pace of American camping that they will soon experience. Bio Knoll+Cella have been collaborating on projects since 1998. Their creative practice is driven by curiosity and questions of cultural identity. Many projects share an attention to the built environment, specifically temporary architecture and ideas about the use of space. They work in “post-documentary” photography, video, experimental film and architectural projections. 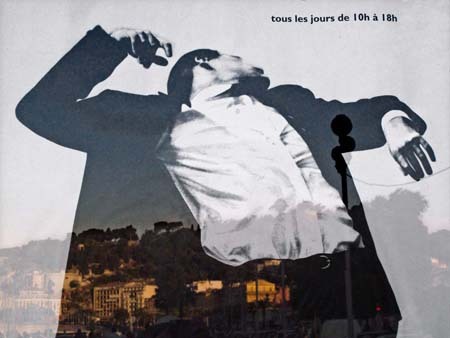 Klaus Knoll has work in the collections of the Museum Ludwig, Cologne; Bibliotèque Nationale, Paris; National Austrian Fine Art Photography Collection, and jointly with Cella in the the Museum of Modern Art, Salzburg. Klaus has exhibited at the Tokyo Shinjuku Nikon Salon, Berlin Brennpunkt/DGPh; Alfred Lowenherz Gallery, New York; and with Cella at the Museum of Modern Art, Salzburg and the Art Complex Museum in Boston. He holds a PhD in Literature and Communication, University of Salzburg, Austria. She holds an MFA in New Media and Cultural Studies, Vermont College. Klaus is an assistant professor of photography at University of Hawai’I Manoa. Most recently they were visiting artists at the Lingnan University Visual Studies Program in Hong Kong. Bio Richard Edelman’s photographs are included in the collections of: Metropolitan Museum of Art (NY), Canadian Centre for Architecture (Montreal), Brooklyn Museum (NY), Polaroid International Collection (Offenbach), Bibliothèque Nationale (Paris) and Everson Museum of Art (Syracuse, NY). Other of his work is included in the MoMA artist book collection, Whitney Museum of American Art, and the Sackner Archive of Concrete and Visual Poetry. Edelman has taught photography at William Paterson University (NJ), the New School, the School of Visual Arts and International Center for Photography and has received fellowships from the NY Creative Artists Public Service Program and the Center for Photography at Woodstock. He is the principal of Woodstock Graphics Studio, which specializes in creative production work for artists. Bio Keiko Hiromi is an emerging Japanese photographer based in Boston, MA and Tokyo, Japan. She has exhibited in solo shows at the Bauhaus Gallery in Tokyo, and in group shows in the US including Panopticon Gallery, Boston; The Center for Fine Art Photography, Fort Collins CO; the Texas Photographic Society and Foundry Art Centre in Chicago. Her work will be shown (May 22 to June 14) in the Pre-Festival Boston Photographer’s Exhibition in conjunction with the Magenta Foundation’s Flash Forward Festival (June 7-10, 2012). 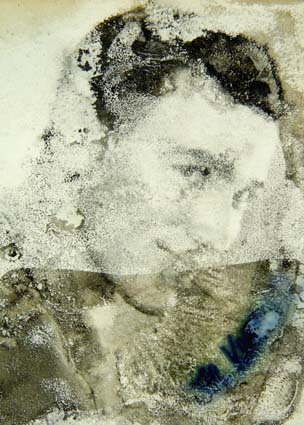 Hiromi received the Griffin Museum of Photography’s Emerging Artist Award in 2006. Using an iphone and SLR, Barrett has embarked on a “365 project.” For the year she is 60, she takes two pictures a day – first, of a scene she finds pleasing (with the iphone) and next of an intellectually challenging self-portrait (with the sophisticated SLR.) The first image acts as an inspiration for the second. Moira Barrett is a fine art photographer based in New England. Her work has been featured in numerous regional exhibitions and galleries, including the Boston Young Contemporaries 2011, the Susan Maasch Fine Art Gallery, the Davis-Orton Gallery, the NAVE Gallery and the Cambridge Art Association’s Northeast Prize Shows. Her work has been reviewed in the Women’s Review of Books. Barrett resides in Cambridge MA with her wife Jo and daughter, Annie. Michael Darough is a Visiting Assistant Professor of Photography at Lycoming College in Williamsport, PA. A native of St. Louis, in 2010 he was selected for the “Brooks Introduces Showcase” at the Memphis Brooks Museum of Art. He has also exhibited at Arizona State University, at the University of Memphis Art Museum, and the Medicine Factory in Memphis. Darough received an MFA in photography from the University of Memphis.